Carousel elements will give your website’s visitors the ability to easily access multiple content items. 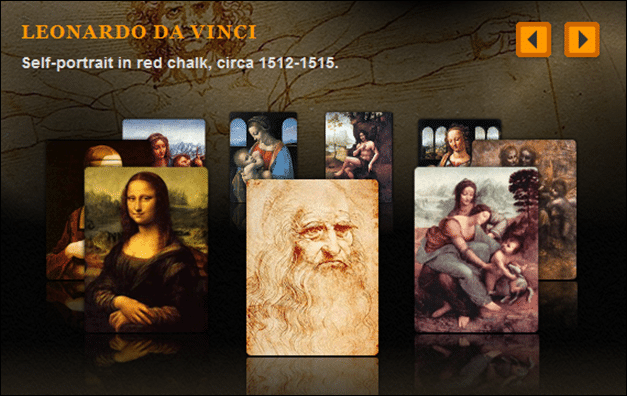 Carousels are scrolling lists of items, displayed horizontally and they have dynamic effects. You are able to scroll back and forth and see the list of items. Carousel elements or effects are also used in creating sliders. These are great for portfolios, where you need to showcase lots of images, but they can be used for other types of websites too. Today, we looked for the best jQuery carousel plugins we found on the web. These carousel plugins are both free and premium, and will surely save you a lot of time in designing your website. BX Slider is a responsive, flexible jQuery carousel and slider. This free option offers both horizontal, vertical, and fade transitions. Slides can contain images, video, or HTML content and uses CSS transitions for slide animation. PhotoStore Minimal Carousel is a usable and very accesible jQuery plugin for creating carousel sliders. The displaying of the template is identical in all browsers and it has valid HTML and CSS. jQuery.carouFredSel is a free plugin that turns any kind of HTML element into a carousel. It can scroll one or multiple items simultaneously, horizontal or vertical, infinite and circular, automatically or by user interaction. The great thing is that it’s responsive too. This great plugin also comes with a tutorial. In this tutorial you are going to create a full page gallery with scrollable thumbnails and a scrollable full screen preview. The idea is to have a thumbnails bar at the bottom of the page that scrolls automatically when the user moves the mouse. jCoverflip is a free carousel plugin . You can navigate the carousel by using a slider bar. You can easily adjust the animation speed, fonts, colors and so on. 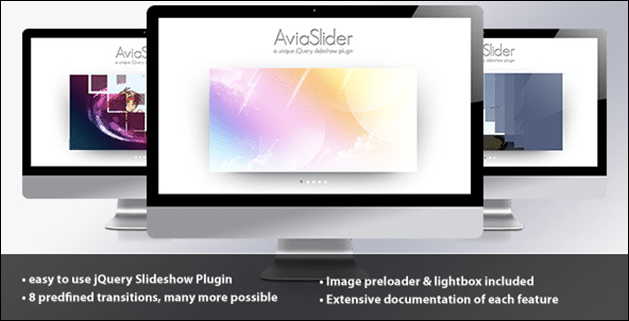 AviaSlider is a very flexible and easy to use Image slideshow plugin for jQuery with a set of unique transitions, as well as some basic transitions. It comes with an image preloader so the slider starts when images are ready to be shown. The slider also already comes with the famous prettyPhoto lightbox. The carousel is supported on iOS and Android and includes touch swipe functionality. It looks great on a tablet and will even work on a smartphone. It has real 3D effects using CSS3 3D Transforms. TouchCarousel is mobile-friendly, lightweight jQuery content scroller with touch navigation for mobile and desktop. It can be used as carousel, banner rotator and image gallery. It doesn’t block default browser scroll on touch devices. Drag only in one direction is allowed. jMyCarousel is a free, customizable, jQuery carouse. 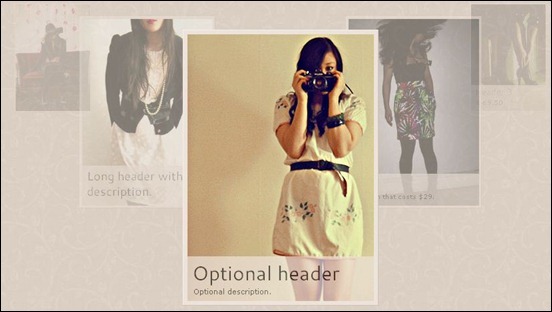 With this plugin you can display a list or gallery of images in a dynamic way. It is easily adaptable to any layout. Sky jQuery Touch Carousel is a jQuery carousel plugin with a rich set of features. It is responsive, touch-enabled, fast and smooth. It can be easily integrated into your website. You can easily customize the visual appearance of the plugin with the help of the plugin options and CSS. iCarousel is a powerful mobile-friendly, lightweight jQuery plugin that allows you to arrange a set of images in a carousel layout. The plugin also provides an easy to use API which will allow to further enhance the functionality of the carousel. 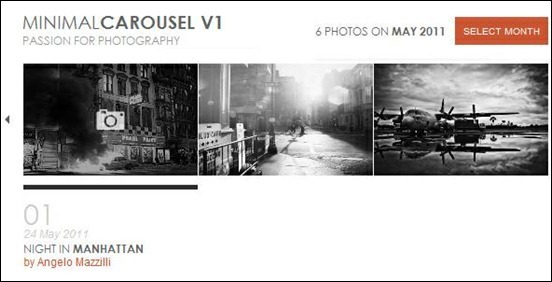 JSized Carousel is a jQuery plugin that converts a list of images into a nice image gallery. The layout and animations are unique and different from the regular carousel features. jQuery Carousel Evolution is a jQuery plugin that allows you to easily create powerfull carousel slider using HTML markup. The plugin also provides an easy to use API to enhance the functionality of the carousel. 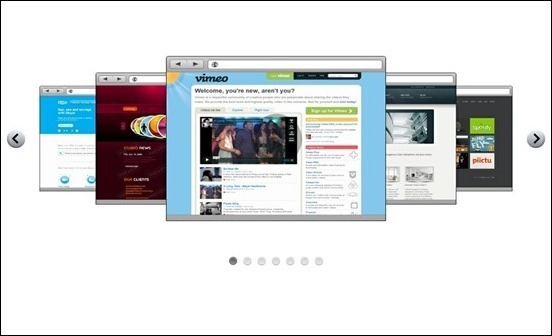 This plugin supports image and video (YouTube and Vimeo). 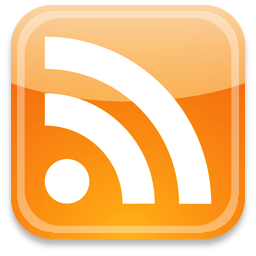 This is a highly customizable plugin to show you or your customer’s services, portfolio items, blog contents etc. With this pluginyou have a small preview view that can be expanded to a rich detailed panoramic view. It works on every modern browser (including IE7/8) and on iOS(iPad,iPhone) and Androidmobile devices. Touch swipe for iOS and Android mobile devices is included. Roundabout is a jQuery plugin that easily converts unordered lists and other nested HTML structures into entertaining, interactive, turntable-like areas. Roundabout is highly-customizable with an extensive API. It is free! Elegant carousel is a carousel slider with two different effects. You can also choose between two orientations. The carousel slider can be easily adapted to your needs.